Thymus vulgaris is often used in cooking. French thyme is the variety preferred by the French. 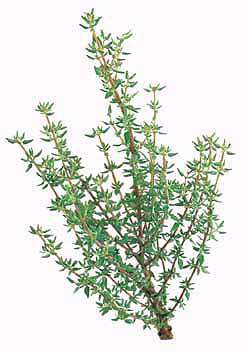 It has narrow leaves, distinctly greyer and sweeter than English thyme. Needs some winter protection in cold climates.